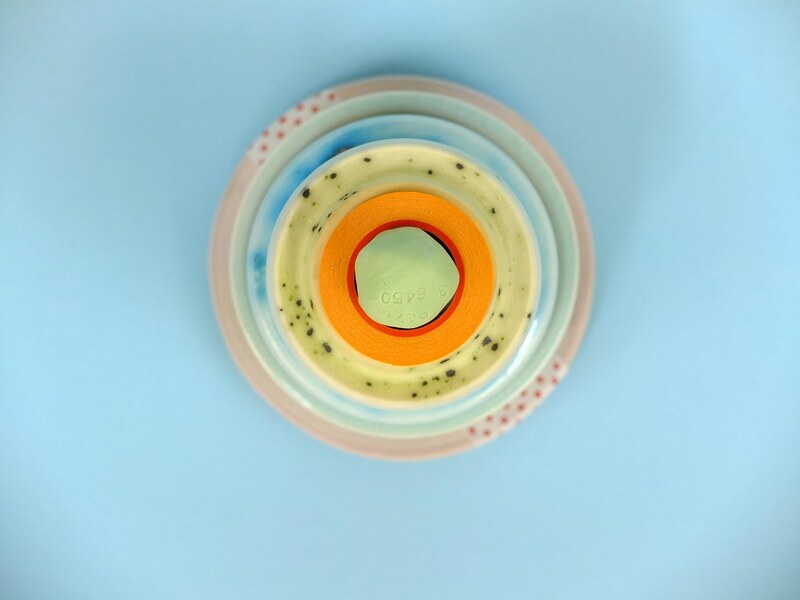 Ben Fiess is an artist and ceramicist who is interested in his response to daily stimuli and the subsequent creation of harmonious compositions of materials, forms, and surfaces. He works primarily with clay, but also with wood, paint, and fabric, frequently mixing materials and mediums. In conjunction with our launch of Ben Fiess Ceramic Vessels for Poketo, we spoke with the artist to learn more about his process and inspirations. You’re currently based in Philadelphia and before that you were in Minnesota–two very different places. How does your environment influence your work? I’m actually in Minnesota right now; I’ve been bouncing around the country a bit for a few years. I grew up in Wisconsin and went to school in Indiana, so I’m a bit biased towards the Midwest. My immediate environment doesn’t affect my work too much. I enjoy Minnesota because I have easier access to nature and enjoy outdoor activities, but I’m not sure if it is visible in my work. I’m still working on ideas I developed years ago when I was living in other parts of the country, and I don’t know if they are much different than the new ideas I’m conceiving now. The only thing I noticed that was different in Philadelphia was that I was using more greens in my work, and maybe that was because I missed seeing grass? What are the essential tools you can’t do without? The one tool I can’t live without is a 3B pencil. 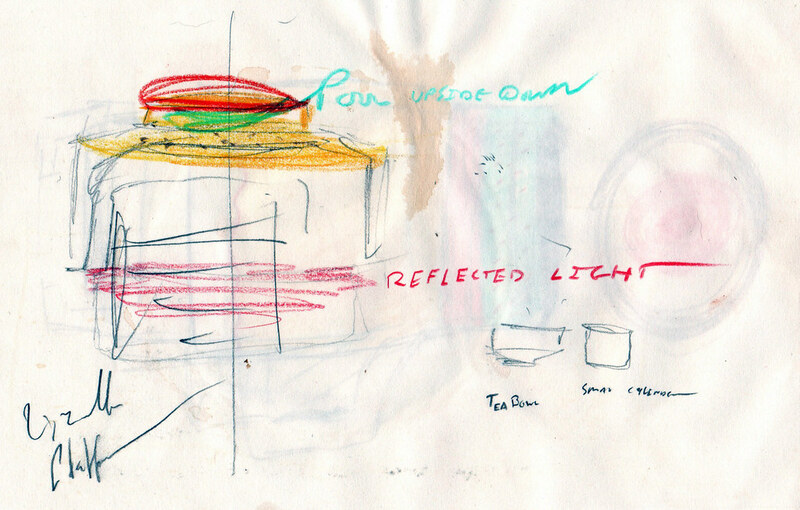 All my work begins as paper and pencil sketches and color experimentation with colored pencils. In the ceramic studio, I use pottery wheels, rolling pins, knives, sponges, and many other tools you would expect to find in a clay studio, but I’m not too picky about those. What inspired you to make your Utilitarian Ceramics series? How do you personally use the pieces? This body of work came together because I wanted to explore color, something that I had not done much in the past. I wanted a form that would have multiple parts so there would be a clean delineation between the colors. The form itself wasn’t intended to be a standard pottery form, although it makes use of jar parts (body and lid) and shares some formal ideas with a cocktail shaker. I personally see the pieces are visual objects meant to be appreciated for their form and colors (much in the same way a painting can function). We love the colors that you use in your work. How do you come up with the color pairings/combinations? I would like to say that I have a clear intention when I develop new colorways but the truth is that it requires a bit of experimentation and Texas sharp shooting. 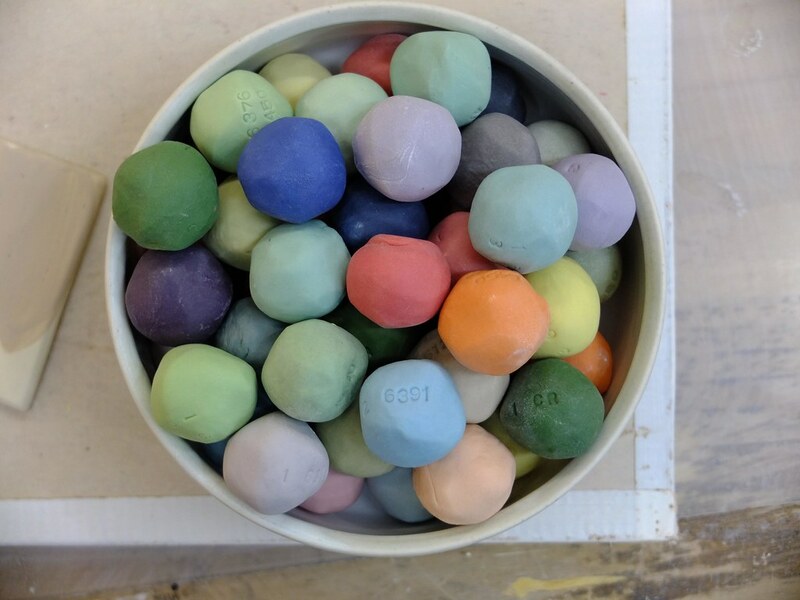 The ceramic medium can be difficult because colors vary wildly from when they are applied to a wet clay form to when they come out of the kiln. Sometimes the results are great and sometimes I’m not pleased with them…those works don’t see the light of day but are important nonetheless. I draw a lot of inspiration for color combinations from things I see around me– could be the way buildings are painted or the clothes people are wearing, there is a vast amount of color in the world and I just try to notice the combinations that appeal to me. Are there other artists and designers you look up to and why? A few of my favorites are Anne Truitt, Hella Jongerius, Robert Mangold, and Richard Tuttle. They all have a great understanding of color and form. I really like how Hella Jongerius works with different materials and combines them in unusual ways. 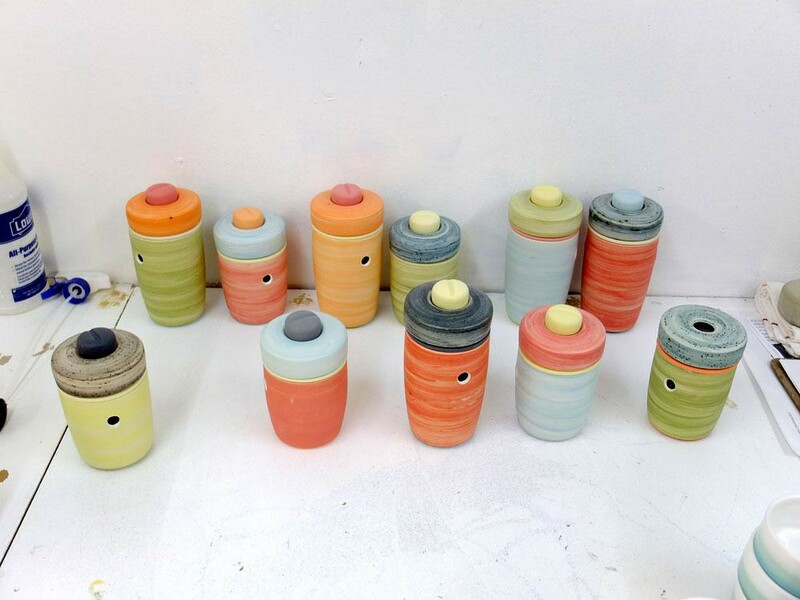 I was impressed when I first saw her combination ceramic and glass bottles that were assembled with adhesive tape. It was much different from anything I had ever come across in academic ceramic art. Anne Truitt and Robert Mangold are painters that I admire for the bold forms that they construct and paint. I very much appreciate when the substrate of a painting is wholly considered and thoughtfully married to the image on top. And finally, Richard Tuttle, for his small objects of various materials. What was the first ceramic piece that you ever made? I don’t remember specifically, but something in a ceramics class I took my third year of college. If my memory serves it was probably a slab-constructed box. When I first learned the medium I struggled a lot with making things but really liked how things looked when they were fired. It helped me spend the time on my craft and get to a point where I could make most of the forms that I wanted to. But even now, there are challenges in the medium that require me to postpone production until I’m practiced enough in that skill to make the specific thing I want to. How does your aesthetic align with that of Poketo? The Poketo work that I’m familiar with favors bright colors and crisp lines; I think my visual interests are much the same. The products are interesting and original. In addition to clay, what other mediums have you worked with? How are they similar and/or different? I work frequently with wood, fabric, and paint. I have more experience with wood (my father was a professional cabinet maker) and like shaping wood much more than clay because it is rigid and stays put. But clay gives me surfaces that I really enjoy, so I try to work with them together. I’m intrigued with clothing, and that led me to explore fabric as a material. It can bend and fold and stretch and squish which is much different than ceramic. I think they compliment each other well.